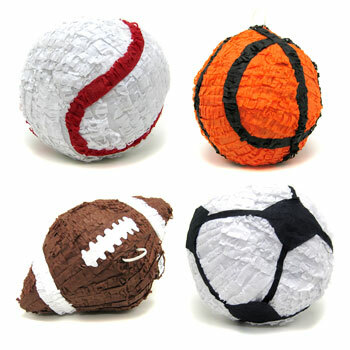 Sportball shaped pinatas. 12 inch diameter. Choose from baseball, basketball, football, or soccer. These are not filled, you supply the prizes inside. $7.95 each for 18 or more. $6.95 each for 36 or more.